Perhaps, I am not only the one addicted to Pinterest, I know there is more of us! It only seems like I am going to re-pin one and before I know it, there has been few hours of me pinning and pinning and going through thousands of beautiful photos. One of those I am most hooked up to is the bedding! I have an obsession! Especially, natural cotton and linens in all sort of shades of grey, white, and pastels! I do however have special feelings for the ombre style! Inspired by celebrities many years ago I have done my hair, then changed to pink. 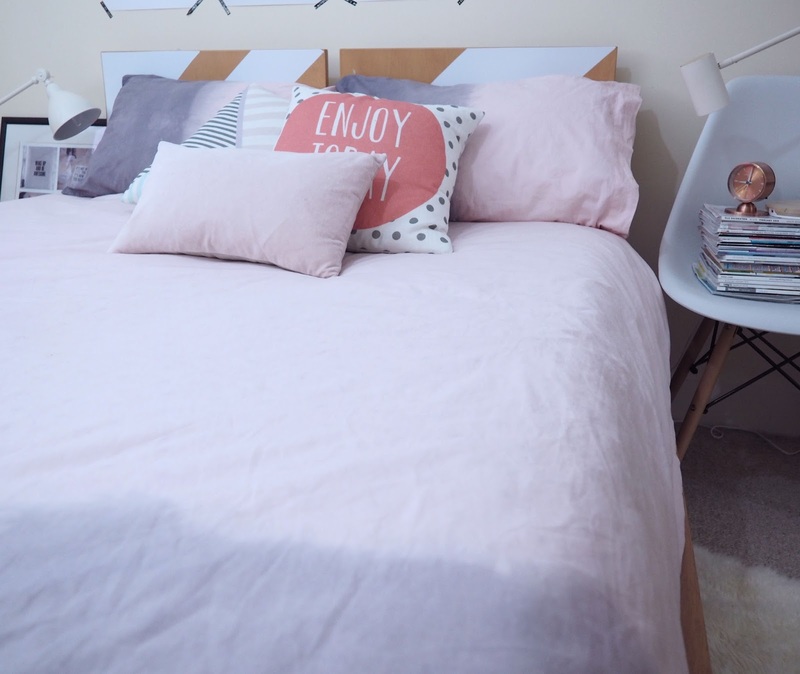 The ombre style looks absolutely beautiful on bed linens too! I have researched many companies and sadly I find the most beautiful ombre a little too expensive for my budget. I have little more of Swiftcover research for you as well. Nearly half of Britons aged 18-35 who don’t own their own home, think owning one in the UK is an unrealistic dream with almost two-thirds (63%) considering moving to another country in order to own a property. 41% of those polled said they would take a second job and 39% would start making pack lunches to get on the property ladder. Others would take a more drastic measure – 16% confessed they wouldn’t rule out staying with a partner they no longer wanted to be with and 3% would generic for topamax camp to save the money needed. 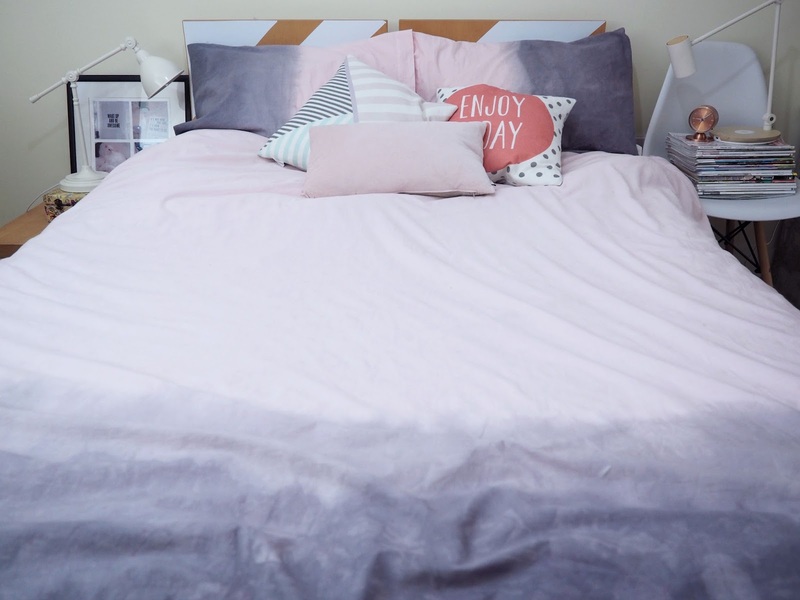 Today, I am back with Swiftcover with another amazing #swifthomehack ombre bedding! 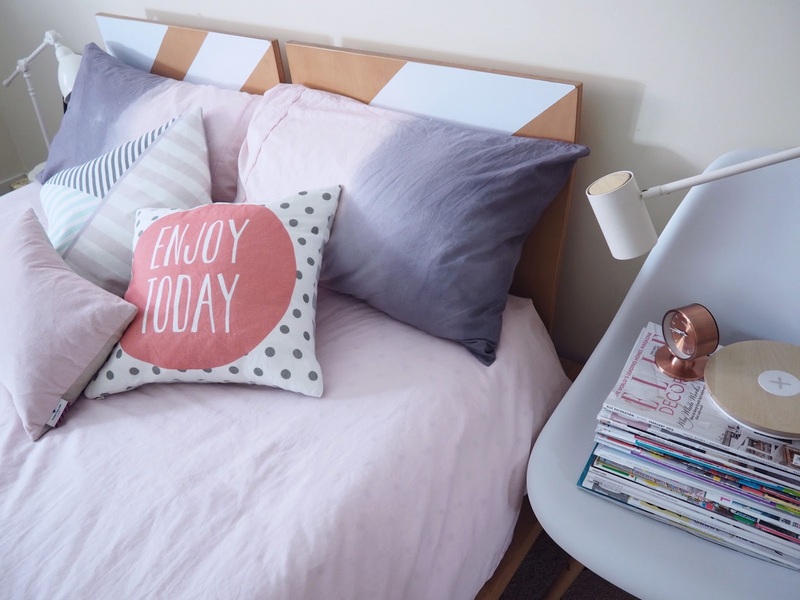 I am sharing how you can create this effect at home with your old cotton bedding and 2 colours of Dylon fabric dye! This isn’t a quick process but it’s fairly simple. I have done it, you will be able to do it as well! Enjoy the video 🙂 ! Now, we’re giving you the chance to win 1 of 3 bed sheets and hand dye sets so you can create your own! http://www.dylon.co.uk/products/dyes/fabric-dye- for-machine- use/. We’d go for intense violet. Obvs. on Sunday 15 th May 2016 to get your entries in for a chance to win. Winners will be chosen at random. way, make sure you visit our Twitter page to enter. This is beautiful and I love your kitty so much! 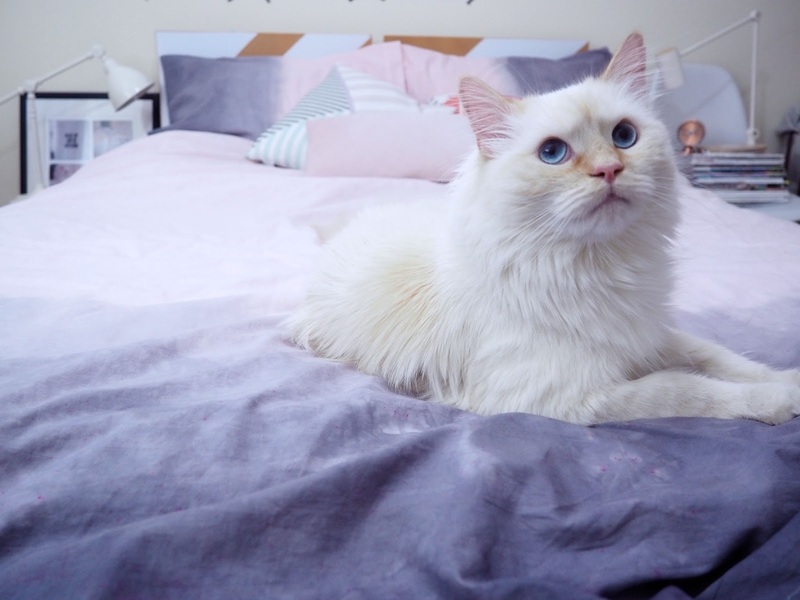 I love what you've done with the bedding, the colours are so pretty. I love this bedroom design, so pretty! I would love to try the Bahama blue dye and make my own ombre bedding. Yours looks amazing!